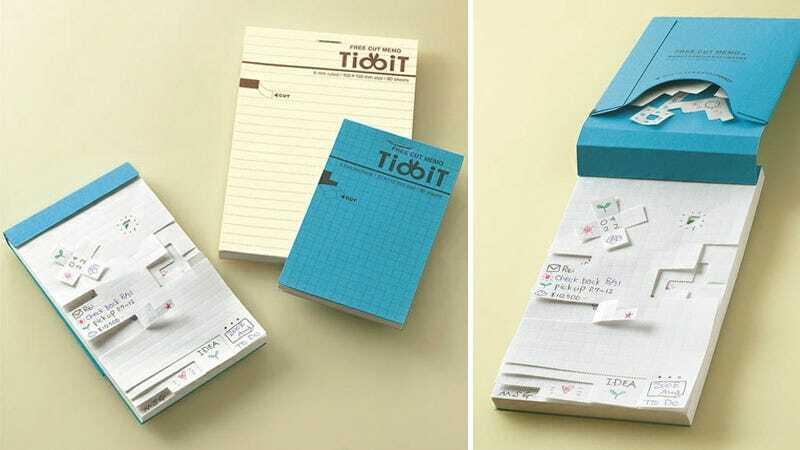 The makers of these Tidbit memo pads found a way to improve on something that, quite frankly, was already pretty perfect to begin with. But by turning the grid lines on a piece of graph paper into perforations, they've managed to create a product that's even more useful. Whether you need to tear out half a page to share a drawing, or a single line to remember a phone number, the performations ensure your notes are always perfectly straight with clean edges. And they're available in 80-sheet pads in three different sizes ranging from just $4 to $5, so it's not like you're paying an outrageous premium for the extra functionality.